Thanks once again to the good work of the Pennsylvania State Council of Churches, the annual gathering for pastors was meaningful, interesting, fun, and, for us, a bit profitable. (Yay.) That is, we sold a bunch of books. We worked late into the night (getting to bed at 5:00 a.m.) to ready the book room with tons of stuff for mainline clergy, books on lectionary preaching, worship aids, congregational revitalization, spirituality, leadership, Advent resources, pastoral care-giving and such. Nobody buys much theology, but we had it there; social justice, racial reconciliation, creation-care, too… What a fun, fun gig. Thanks to friends as diverse as Moravians and Episcopalians, Church of the Brethren and United Methodists, UCCers and Lutherans. Praise God for a few indie evangelicals, AME, and Roman Catholics, too, who show up. Gil Rendle, whose books on the Alban Institute are old standards, did an excellent job of offering insights about systems, leadership, vision, and congregational health, guided by leaders who, themselves, are well-grounded in their own spiritual practices, and who “keep one foot out of the system” for perspective and support. It seems to us that sometimes our bookshop helps be that place “outside of the congregational or denominational system” where clergy friends can unload a bit. Books and authors certainly can be a life-line for those who don’t have a lot of support, who feel like they are–as Rendle put it—walking through and working in their own particular (messy) wilderness. We love hearing how books have offered friendship, solidarity and encouragement to folks, and we hear such things at these kinds of event. Thanks to each of the pastors who visited with us and those who said so many nice things. As I’ve said, we had thousands of books on display. Here are just a few that we featured, talked about, and sold. I will soon offer a more substantial annotated bibliography of recent books about church life over at the monthly review column. I’ll led off with a few of the very best books for BookNotes readers about congregational life (such as the extraordinary Deep Church by Jim Belcher, one of my favorite books of the year in this category) and list a batch of recent releases that those who care about churches should know about. For now, here are a few that our friends in Harrisburg seemed to enjoy. Leading Change in the Congregation: Spiritual and Organizational Tools for Leaders Gilbert Rendle (Alban Institute) $17.00 It is rare when we sell out of an author’s book at such an event, and we were delighted that this 1998 classic sold well. With chapter titles like “Spinning Wheels Gather No Traction” this is a fun read. He is a master at explaining systems theory, leadership dynamics and the contemporary sense of being in the wilderness. Congregations Gil Rendle & Alice Mann (Alban Institute) $25.00 Alice Mann is very well known as a consultant for mainline parishes and she teamed up with Gil to give us and this very practical resource volume, the very best resource of it’s kind. Just the title helps you reframe planning away from a business model towards a spiritual process of discerning God’s will amongst the people of God. Pathway to Renewal: Practical Steps for Congregations Daniel Smith & Mary Sellon (Alban Institute) $17.00 This is a remarkably clear book guiding pastors and leaders through three phases of the wilderness journey. (As Alice Mann summarizes in her forward): “…building the readiness of leaders to lead, developing a vision, and aligning the congregation’s life with the vision it has discerned.” Another reviewer says it is “like a GPS guidance system for congregations…It keeps our eyes on the destination of congregational renewal, shows us ways around very real obstacles, shares the experiences of others who have traveled this way, and reminds us that the journey is always worth it.” This book seems to capture much of the insight, vision and vibe of Rendle and his talks this year. This Odd and Wondrous Calling: The Public and Private Lives of Two Ministers Lillian Daniel and Martin Copenhaver (Eerdmans) $16.00 I cannot tell you how moving some of this was to me. I know a number of clergy, and I know them well enough to know about their lives, their dreams, their marriages, their kids, their job insecurities, their joys and sorrows at work and at home. This book about ministry captures some of that, and more. As Lauren Winner puts it, “My dictionary doesn’t have enough enthusiastic adjectives for this book, which I adore…” This is one of the best books I’ve read about life in the church, and the pastors who serve. I hope the pastors who bought it enjoy it, are affirmed in their work, and share it widely with others who want to know what they do day by day. Prepare for Exile: A New Spirituality and Mission for the Church Patrick Whitworth (SPCK) $19.95 A broad and sweeping study, set in the church in England, with a solid foundation in reflecting on church history and then thinking through a deeper spirituality (Benedict, Teresa, Luther, Pascal, Wesley, etc.) to ground new missional ways of being church in a culture that has sent us into exile. Although perhaps less evangelical, there are shades of Frost & Hirsh here. ccessible, basic, useful. Highly recommended. 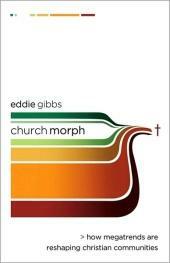 ChurchMorph: How Megatrends Are Reshaping Christian Communities Eddie Gibbs (Baker) $17.99 Another book in the Allelon Missional Series, this came out a few months back and has been described as a “master guidebook to the territory we all must travel in order to be church in the new post-Christendom cultures of our day.” Alan Hirsch says it is “the most thorough interpretive map of church trends to come out in years.” Fun stuff! Worship Words: Discipling Language for Faithful Ministry Debra Rienstra & Ron Rienstra (Baker) $19.99 Ron teaches preaching and worship at Western Theological Seminary and Debra is a wondrous writer and English prof at Calvin College. (Her great memoir of her pregnancy Great With Child was just re-issued in a stunning new paperback edition!) Here, they carefully examine the role and use of language for praying, singing, and preaching in the worship practices of the church. With endorsements from Tom Long (Candler School of Theology) and Marva Dawn (Regent College, BC), and Nancy Beach (Willow Creek) this is a genuinely blessed book hopefully to become a classic. This is beautiful reading, important matters, and we recommend it heartily. Holy Things: A Liturgical Theology, and Holy People: A Liturgical Ecclesiology, and Holy Ground: A Liturgical Cosmology Gordon Lathrop (Fortress) $20.00 each All three are now available in paperback, with handsome matching covers. I love these, the first two on the ordo, on worship and assembly. This third one, though, is broader, thicker, and may have been called (Lathrop says in the forward) Only One Is Holy. Holy God, holy ground? Read it and see life in new ways. Heavy, rich, important. Piquant This is packed with real-life case studies and photopgraphs and guides to thinking faithlly about the arts in congregational life. There is nothing like this in print: we import it from overseas because such useful and visionary books are rare. Published in England, this is a must for any congregation thinking about such things. Or if you’re not! Inclusive Yet Discerning: Navigating Worship Artfully Frank Burch Brown (Eerdmans) $20.00 You may know Brown as the very thoughtful writer of Oxford University Press’ much-discussed Good Taste, Bad Taste, Christian Taste. Here he gives us several writings on the complex interweaving of theology, art and worship. Who else brings together Bach and Marcus Borg, Pope Benedict XVI and Rick Warren? This is another contribution in the vital Calvin Institute of Christian Worship Liturgical Studies Series edited by John Witvliet. Kudos. Feasting on the Word Year C volume 1 and volume 2 edited by David Bartlett & Barbara Brown Taylor (Westminister/John Knox) $39.95 each The editors of this ambitious series begun last year have offered the first two volumes for preaching The Revised Common Lectionary for Year C. These are written by a vast array of mainline scholars and preachers and pastors, offering for angles on each of the weekly texts: an exegetical, theological, homiletical, and pastoral. Four often eloquent and insightful takes on every passage. Wow. The Sacred Meal Nora Gallagher (Nelson) $17.99 I read a lovely and compelling quote from the back from Barbara Brown Taylor and another from Lauren Winner and this became the immediate best-seller at the gathering. We truly love this “Ancient Practices Series” edited by Phyllis Tickle, and think you will, too. The other brand new one in this series is by Sister Joan Chittister, The Liturgical Year, sold quite well, too. I’m so happy. We featured the whole Thomas Nelson series—Bob Benson on prayer, Dan Allander on sabbath, Scot McKnight on fasting… Brian McLaren’s introduction to the series, Finding Our Way Again, is very, very nice. Highly recommended. Living the Christian Year: Time to Inhabit the Story of God Bobby Gross (IVP) $17.00 The forward by Lauren Winner is very, very good, and Bobby does a remarkable job offering an introduction for those who need a primer on this liturgical year stuff. It is a devotional guide inviting us to indwell the church calender by setting our sights by theological time. We will be hosting Bobby on Ascension Day, by the way, to worship, have him teach a bit, and sign books as we celebrate the good graces that allowed him to write this wonderful devotional. Poet Luci Shaw calls it a “bountiful resource” and Emilie Griffin calls it “a jewel of a book. In my own workshop, I highlighted some favorite memoirs. I read briefly from really interesting and well-written Woman Overboard: How Passion Saved My Life by Jo Kadlecek, the incredibly moving, and very funny, Girl in the Orange Dress by Margo Starbuck, and the delightful but vulgar Mennonite in a Little Black Dress by Rhoda Janzen, and of course Donald Miller’s A Million Miles in a Thousand Years which I think everyone should read. I read a long excerpt from Frederick Buechner’s Telling the Truth, told of some good books on how to read (and even argue about) the Bible—-I wish I would have had time to read from the flamboyant and bohemian Debbi Blue and her stunning set of Bible reflections called From Stone to Living Word: Letting the Bible Live Again—showed some new editions of NRSV Bibles, talked about the ESV, too, and celebrated books that invite us to see God’s glory in the mundane such as the altogether lovely book An Altar in the World: A Geography of Faith by Barbara Brown Taylor. ly ponder, raising great questions, and offering profound insights about the point of all this stuff about church, God, and mission. I’ll say it here, now: it is one of the most important books of the year! If you would be interested in hearing me do this hour and a half luncheon book ramble, you can purchase the CD or audio tape, I believe, from the good folks who tape the State Pastors’ Conference, Un’I Tape Duplications. Call ’em at 717-761-5392. If you get that tape, or either of the ones from previous years when I did similar book talks, we will give you a $10.00 credit for any book you buy that I recommend or mention in the workshop. That covers more than the price of the audio recording for you. We are eager to have you hear this (shall we say) animated presentation. Just let us know if you got it when you place an order. Great post, as always, Byron. I loved the other two books in Lathrop’s trilogy. Looking forward to reading the third. Have you heard Debbie Blue preach? Her writing is delightful, but her delivery is one-of-a-kind, memorable. Great list! Looking forward to hearing Bobby Gross on Ascension Day 2010.